If it’s long earrings you’re searching for, look no further. These stunning long drops measure in at 12cm/4.8”so they more than qualify for the shoulder-grazing look that’s so fashionable with those who like to dress to kill! 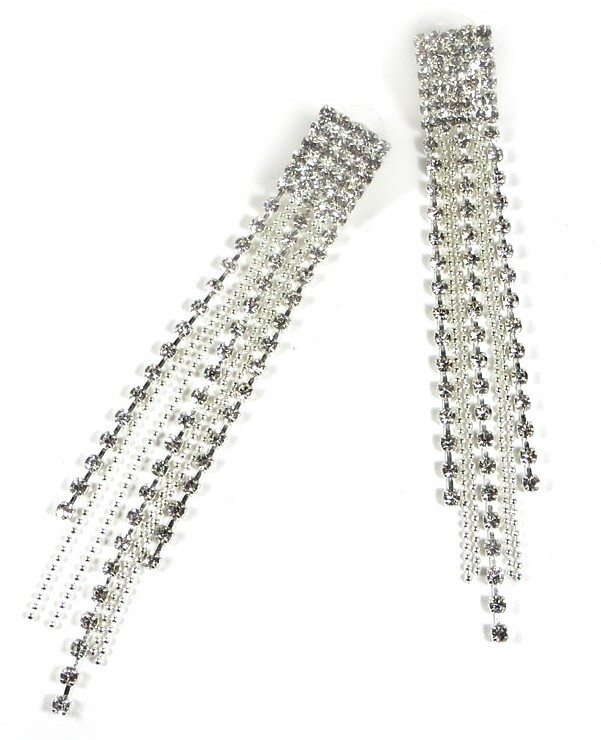 The top section features a 5 x 6 crystal rectangle from which cascades down seven shimmering strands of crystal clear rhinestones interspersed with slinky fine silver ball chains. The effect is a mobile fusion of light that sparkles like crazy with every movement. Drop: 12cm (¾”).